As the urban population is growing at a faster rate than the cities’ infrastructure can adapt alternatives are heavily sought. Many initiatives have started in the last couple of years to meet the current and future demands of urban mobility. With the enhancement of public transportation municipalities try to substitute car traffic and new car sharing and ridesharing concepts offer flexible alternatives to owning a car. But although having some convenient and affordable alternatives in place, a car often offers the largest flexibility and therefore remains, depending on the singular situation of life, the only feasible alternative. With a variety of different parties involved to develop solutions for present and future urban life none of those can currently offer flexibility and freedom like a car. Unfortunately urban mobility is often treated as ‘one size fits all’. But as mobility is a highly individualized need it is important to look beyond the enhancement of singular offers and introduce a larger, holistic solution that is capable of satisfying individual needs. The urban infrastructure cannot keep pace with this trend. Cities react with restrictions, shortages and price increases for individual mobility. Furthermore, we do not want to buy everything, but we want to have access to it. The internet opens up intelligent means of collaborative consumption – the more intelligent things become, the easier they can be shared. Smartphones facilitate finding, booking and paying of suitable connections and offer access to mobility. In the light of this, Daimler Mobility Services believes that the likelihood of behavioral change towards alternatives modes of transportation depends on the convenience of a solution and its ability to mirror or even enhance past experiences. The company is therefore investing in cross-linking urban transportation to drive future mobility – like car2go and moovel. The mobility platform moovel shows its users the best possible way to get from A to B and bundles the offers of diverse mobility providers and presents suitable travel options via app and mobile website – irrespective of provider and transparently. The free “moovel” app is available in the Apple Store. In addition, via the mobile website moovel can be used on many current smartphones. Along with provider-independent information about prices and traveling time, moovel features a simple and intuitive user guidance program. In the app the various options for bus and rail connections in the VVS service area are shown, including travel time and price. In addition, it is possible to search for convenient ride-sharing opportunities and to enter ride offers. A taxicab call function, with the aid of which the user can order a taxi by phone from the app, completes the first version of moovel. Daimler gained valuable experience in the ride-sharing market with the ad hoc ride-sharing system car2gether in two pilot tests in Ulm and Aachen. Moreover, in Ulm the linking of car2gether with car2go was tested; in Aachen, the connection with the public transit operator Aachener Verkehrsverbund (AVV). The result of the pilot tests is as following: short-distance ride-sharing is also possible. Over 50% of the booked car2gether rides in Ulm and Aachen were less than for 10 km. The intelligent linkage of car2gether with other mobility providers received a very positive appraisal from the customers. 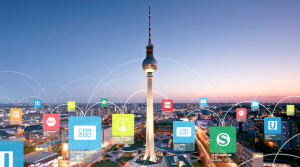 The cooperation with mitfahrgelegenheit.de, the market leader in ride-sharing, and its integration in ‘moovel’ make it possible to put the basic idea of car2gether on a much broader basis and raise the networking of urban mobility to a new level. The linkage of different mobility options makes it possible to intelligently combine motorized private transportation with public transit and to make a contribution to the more efficient utilization of existing resources. In the car2go mobility concept, Daimler is meeting customer demands for flexible urban mobility. The scheme now offers widespread availability of smart for two vehicles in a range of cities, in North America as well as in Europe, that can be hired at any time of day or night following initial registration – without a contract, minimum charge or minimum rental duration. When they are finished the users can leave the vehicles in any public parking space or in a specially marked car park. Usage is charged on a minute-to-minute basis; this fee covers tax, insurance, mileage, and even fuel. On registering with car2go an electronic seal is affixed to the customer’s driving license that enables the available vehicle to be opened. The customer can come by a car2go in a variety of ways. One example is instant rental when passing by: if there’s an available smart, the user can rent it on the spot. The customer simply holds his driving license against a reader in the windscreen area, gets in, enters his personal ID number into the vehicle and drives off. Available vehicles can be located at any time quickly and easily via the Internet or a smartphone app. The rental period can be for any length of time. During stops – such as for shopping – the vehicle remains reserved for the user at highly reduced rates. When the customer wants to return his car2go, he parks the vehicle in any public parking space in the city zone. In addition, specially marked car2go parking spaces are provided, for example at stations or shopping centers.Due to the high customer take-up the vehicle fleet in Ulm, Germany, and Austin, Texas, was not only increased by 50 percent to 300 vehicles in March 2011, but it was completely overhauled: the smart for two car2go edition is the first car-sharing car configured ex-works, fitted with an intelligent stop-start function, newly developed telematics and a solar roof that supplies the electrical consumers with power. After two-and-a-half years, car2go sees growth worldwide of more than 100,000 customers already registered with car2go and the smart vehicles have been rented more than 2 million times. Additionally, there are more than 600 purely electrically driven and locally emission-free car2go vehicles on the roads worldwide – corresponding to around a seventh of the total car2go fleet.